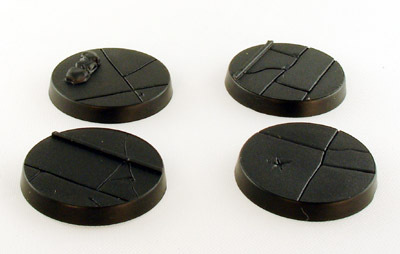 We make Pre-Terrain Industrial & Urban Design 25mm Bases for your gaming miniatures. 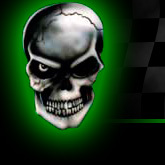 "Champ Industries, Inc. has created a base that is unique in design. What sets these bases apart from every other terrain base on the market is they are made from injected plastic, rather than resin. The benefit of plastic bases is their light weight and ease of use. With plastic miniatures, all you need is some plastic cement and you are ready to go. Metal miniature are just as easy to mount. Clip the slot from the miniature and use two drops of super glue to set it in place. Unlike with resin bases, pinning is not necessary, but still may be desired." "The quality of Champ Industries bases are beyond compare, since there is are no other bases on the market they can be compared against. Unlike resin bases, these need no clean-up work, are light weight, do not require pinning, and cost less."